A traveling couple in the Gothic quarter of Barcelona, whose mayor has criticized home-rental websites. The sharing economy is exploding: On its peak night this summer, there were more than a million people staying in Airbnb rentals. 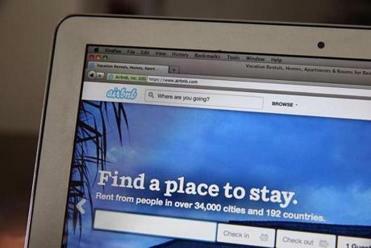 But with stories in the news like the one last month about a teenager allegedly sexually assaulted by his Airbnb host in Madrid, there are increasing concerns about the safety of these rentals. Experts say that with the right preparation, travelers can avoid problems. With the security measures provided by today’s sites, renters go in with more knowledge than ever. And there are safety measures that can be taken beyond what sites provide. Anirban Bardalaye, a cofounder of rental site VaycayHero, says it’s important to do your own research before staying in someone else’s home. Bardalaye also recommends looking up the host, neighborhood, and any roommates to get an idea of what you’re getting yourself into when renting. Tap your inner detective and see what you can find on social media sites. If something concerning comes up, err on the side of caution and find another place to stay. “In many cases, the safety and the quality of the house is dictated by the neighborhood the house is in, and that information is readily available. You can very easily find out what the crime rate is near a specific address,” Bardalaye says. “Find out what else is nearby. What’s the nearest business establishment? Is it a noisy bar which has some potential for some safety issues? Or is there a school next door? Some of those things, even though they might not be as straightforward, might give you some indicator of whether the house is going to be safe or not.” All it takes is a Google search to find out some of these things. Bardalaye says renters should also look up the house to see if it is what it claims to be in terms of size. You don’t want to end up renting the loft area of a house thinking that you were getting your own private room. Make sure the house layout has everything it promises. Real estate sites such as Zillow might be able to help you get answers to these questions by providing information about square feet and the number of bedrooms. VaycayHero deals only with professionally managed rental properties and caters tofamilies and large parties that need space. It has properties in 15 destinations and hopes to expand to more than 100 in the next year. The site acts as a go-between for the property manager and the renter, verifying the rental and often assisting the renter with any questions about the booking. Jakob Kerr, a spokesman for Airbnb, said what happened in Madrid involved “a unique and complicated set of circumstances” and the company is working to do more to protect its guests, including allowing guests to add an emergency contact when booking and making it easier for them to share their itinerary with friends and family. The new system would also allow guests to share their itinerary through their phones, making last-minute updates fast and easy. This is on top of other security tools Airbnb already has in place. “We built different product tools ahead of their time that became best-in-class quickly,” Kerr says. The site employs user profiles, a review system to evaluate both hosts and guests based on things like cleaniless, communication, and accuracy of the listing, and a payment system that ensures hosts don’t receive a guest’s money until after the guest checks out. It also has its own messaging system so hosts and guests can communicate about the trip. These measures create more accountability, he says.